UH College of the Arts (CotA) graduate student Nancy Agin Dunnahoe (MAAL 2017) was a little overwhelmed when she found herself in possession of a decades-old collection of Houston punk music memorabilia. 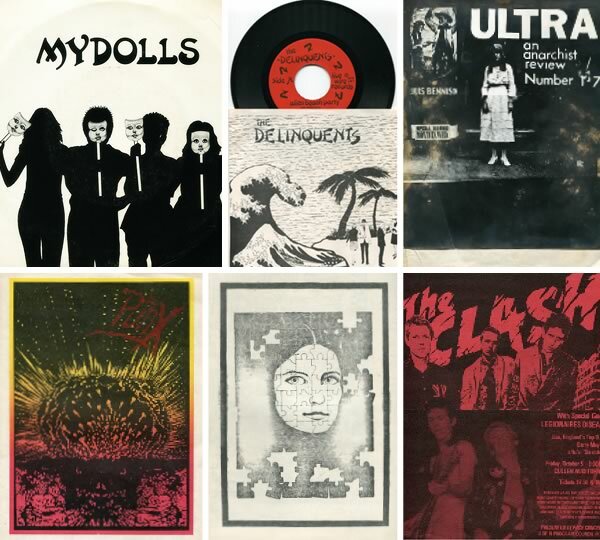 The collection had been amassed by Henry “Wild Dog” Weissborn, a UH alumnus and pioneer of Houston’s underground music scene who launched the city’s first punk rock fanzine in 1979, and included posters, photographs, cassette tapes, and VHS tapes. After Weissborn’s death in 2008, Dunnahoe’s husband Tayvis purchased the collection—an assortment of unclaimed boxes from Weissborn’s estate sale—for his collectible VHS business. Sensing the historical significance in the objects, Dunnahoe was motivated to find a way to salvage the collection. “At first I didn’t know what we would do with everything, but I knew I had to find a way to save it or risk losing the history behind it,” she said. She set to work carefully researching, cataloging, and digitizing the items, and the Wild Dog Archives were born. That was in 2014. Today, Dunnahoe is more active than ever in the local arts community. She is always looking for avenues to encourage discourse about Houston’s music history and the archives have grown to include artifacts and recordings from numerous underground Texas bands, activists, and icons. Last summer, she co-organized an exhibition of music ephemera to coincide with the 20HERTZ lecture A World of Our Own: Mydolls and the Houston Punk Scene at the Contemporary Arts Museum Houston. As a graduate candidate in the Master of Arts in Arts Leadership (MAAL) program, Dunnahoe is learning how to launch a non-profit to support the archives as well as manage her own content agency for the arts, Neon Artifact. She has also met several mentors through the program, including local arts leaders such as Pat Jasper, the director of the Folklife + Civic Engagement Program at Houston Arts Alliance, and Dan Workman, the president of SugarHill Recording Studios. “My mentors have helped me grow, not just as a creative entrepreneur, but as a human being,” she said.